Smart offers you a variety of innovative value added services that suit your unique lifestyles and satisfy your communication demands. Customers can send text messages to family, friends, and loved ones from anywhere in the world. It’s easy using our Online SMS Chat! Click here to send free text messages. Type in your name and your contact’s phone number to open up the chat window. Type your message in the chat window. Your contact will receive your message via SMS. SMS Bundles can be used to text internationally. Customers can send a minimum of 50 SMS or MORE from one Smart number to another! Instructions: Send a text to SMS (767), in the body of the message type the number you’re sending the SMS to and the amount. SMS shared expires in 7 days. Customers cannot share Postpaid SMS or Promo SMS (this includes the Unlimited SMS Bundle). Smart! Prepaid, Flex Jr., Choice, and Select customers experiencing an emergency have several options available to get in contact with family, friends, and/or loved ones. Description: Customers can request a $2 credit advance from Smart. $2.05 will be repaid automatically upon your next recharge. Requirements: Credit balance of $0.03 or less. Instructions: Send a text to CALL (2255), in the body of the message type LOAN. Description: Customers can request a 175MB data advance from Smart. $2.05 will be repaid automatically upon your next recharge. Requirements: Credit balance of $0.03 or less and data balance of 25MB or less. Instructions: Send a text to CALL (2255), in the body of the message type DATA. Description: Send a FREE text message to any Smart or DigiCell number with the phrase: “Please call me at (your phone number).” Customers can send two call me requests per day. Instructions: Send a text to CALL (2255), in the body of the message type the recipient’s phone number with 501 in front (Example: 501670####). Description: Send a FREE text message to any Smart or DigiCell number with the phrase: “Please recharge me.” Customers can send five recharge me requests per day. Instructions: Send a text to CALL (2255), in the body of the message type recharge (space) 501 + your phone number (Example: recharge 501660####). 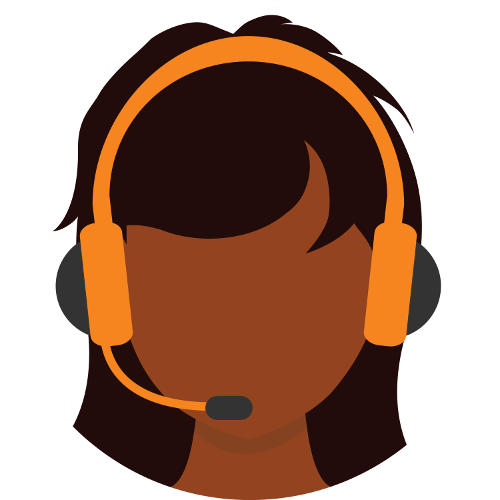 Description: Customers can make collect calls to another party, and have that party billed for the duration of the call. Regular rates apply. There are no restrictions or requirements to place a collect call, customers on all our plans can make one. Instructions: Dial 265 using your Smart phone and follow the instructions after placing the call. With the click of a button, Smart now brings you the latest information through the Smart Zone. Request the winning Boledo or Fantasy 5 numbers; check today’s weather or the weekly forecast; look up a word in the Dictionary or Thesaurus; or, if you’d like to laugh, request a joke! Customers can choose to send a one-time SMS to request the information, or sign up for a subscription (where applicable) to receive it automatically! Send a SMS to ZONE (9663); in the body of the text message write one of the words below. Para solicitar información en español, envíe un SMS a ZONA (9662); en el cuerpo del mensaje de texto, escribe una de las siguientes palabras. Cost is $0.16 per single SMS, or $0.11 per SMS with subscription. This is also a built in feature found on the Smart App. Search for “Smart Belize” on Google Play or the App Store! Smart’s data customers can browse the web, share photos, send messages or emails, and get in contact with the rest of the world using their data capable devices! Data packages can be bought for your data capable phone, dongle or MiFi and can be used anywhere there is Smart coverage. Prepaid data customers can purchase any of the data packages available. Customers who have a Dongle / MiFi can purchase 2000 MB of data or above as needed. No monthly bill or deposit required. Customers can sign-up for a plan to have 2000 MB of data or above added to their Dongle / MiFi. The cost of the package will be billed. If you deplete all the data in your package, you will still have access to the internet; you will be billed an additional $0.02 per MB of use until your plan replenishes, or until you use up to 200% of your package. To transfer data from one Smart phone to another, kindly visit your nearest Smart showroom with your ID. A customer service representative will sign your number up for access to the My Account portal located in the menu of this website. Using My Account, you will be able to add/remove up to 10 numbers to your share group. This will allow you to add data to their account. Dial 638 (NET) for 1000 MB or below. Dial 3282 (DATA) for 2000 MB or higher. Or, using a Smart phone, send a text to 9666 (ZOOM); in the body of the message type the requested data package, a space, and 501 before the modem number. To check your data usage send a text to 9666 (ZOOM), in the body of the message type 501 before the phone, dongle or MiFi number (Example: 501670####). NOTE: Your balance will be reflected in MB. Get the fastest, most reliable Broadband Unlimited Internet in Belize! This exciting service – for home and business – allows customers to purchase unlimited data, at super-fast speeds, for a low monthly fee. Broadband internet utilizes wireless technology – there is no need to run copper wires or set up a phone line! This will not only ensure a quick basic installation, but also remote troubleshooting, as well as quick maintenance and support. Our response time is almost as fast as our service! Reliable, high speed, cost effective internet is no longer a luxury, it is a necessity! SIGN UP TODAY! Available at the below locations. BOOSTED Packages, Same LOW Price! Available at the below locations. Other areas coming soon! In need of assistance? Get in touch with our technicians directly by dialing these numbers! Go Without Borders: Lowest Rates to Roam Abroad! Roaming is a service provided by Smart which allows a 4G (UMTS) customer to automatically make and receive telephone calls, send and receive SMS, and use data services while travelling outside of Belize. For prepaid customers, only prepaid credit can be used to roam. Hybrid customers may choose to use prepaid credit or subscribe to postpaid roaming. If postpaid roaming is chosen, you will be required to pay a minimum security deposit of $50 at the nearest Smart office. Roaming usage will be limited to the amount of the deposit. Postpaid customers are required to subscribe to the roaming service and pay a minimum of $50 security deposit. All relevant (voice, SMS, and data) roaming charges will be invoiced and reflected in the upcoming month’s bill. To call Belize, hold down the 0 key until the “+” sign appears, then dial 501+7 digit Belize number. To call anywhere within the roaming country, dial the local number. To call anywhere outside the roaming country, hold down the 0 key until the “+” sign appears, then dial the country code and phone number. To call another Smart roamer, hold down the 0 key until the “+” sign appears, then dial 501+7 digit Belize number. NOTE: Same procedures apply when sending a SMS. Calling Belize $0.35 / min. $0.30 / min. $0.60 / min. Calling within the Roaming Country $0.35 / min. $0.30 / min. $0.60 / min. Calling the Rest of the World $0.85 / min. $1.50 / min. $1.50 / min. Calling another Roamer within the Roaming Country $0.35 / min. $0.30 / min. $0.60 / min. Calling another Roamer in the Rest of the World $0.35 / min. $0.30 / min. $0.60 / min. Receiving Calls $0.35 / min. $0.30 / min. $0.30 / min. Before travelling out of Belize, dial ROAM (7626) to purchase one of the following data bundles. If you are abroad and have credit on your phone, you can purchase data via the Smart App. If you are abroad and do not have credit, you can use a credit card to purchase credit online. Visit the Smart Lounge or *ding (www.ding.com) to purchase credit and then use the Smart App to purchase data. OR ask someone locally to send you credit. To check your data balance, send a free SMS to ZOOM (9666); in the body of the message type your phone number. You will be sent a SMS with your balance and expiration. To check your credit balance, send a free SMS to 122; in the body of the message type your phone number. You will be sent a SMS with your balance and expiration. Explore & Share while in Belize! Travelers visiting from the United States and Canada can get their very own local number and enjoy Calls + Text + Data! It’s cheaper than roaming! Minutes can be used to make calls to Belize, Canada, and mainland USA (*per minute rates vary by country). SMS can be used to text locally and internationally. Visit the nearest Smart office to purchase your SIM! Store locations, opening hours, and phone numbers can be found HERE! Smart offers many easy options to add credit to your mobile phone. Choose the one that’s best for you! Send credit to your phone from any of our registered dealers countrywide! Here’s how: Simply give the gimmedalla agent the phone number you want to send credit to and the dollar amount you’d like to purchase ($1 – $500). The agent will then transfer the amount to your account. Once the transaction has been completed, you will receive a SMS confirming receipt of your recharge. Credit can also be purchased using our Online GimmeDalla Portal; to do so CLICK HERE! The traditional way to add value to your account! You can purchase a prepaid card from any Smart showroom or certified prepaid card agent. For your convenience, prepaid cards are available for purchase in denominations of $5, $10, $20, $50, and $100. Here’s how you can add credit to your account: After you’ve purchased your prepaid card, scratch the security strip off the back of the card to reveal your PIN number. Dial 120 + the PIN number and the denomination purchased will be added to your account. Add credit to your friend’s Smart phone using a prepaid card! Here’s how: After purchasing a prepaid card, simply dial 125 and follow the instructions! Transfer credit to friends, family, and loved ones using our Prepaid, Flex Jr., Choice, or Select plans. It’s quick, easy, and FREE! You can transfer up to $200 per month! This is also a built in feature found on the Smart App. Search for “Smart Belize” on Google Play or the App Store! Register your smart phone number at any Atlantic Bank office. Dial GOABL (46225) from your phone and follow the automated attendant’s instructions. Make sure you have your password, bank account or credit card number. Once your transaction is successful, you will receive a confirmation SMS and the amount will be deducted from your bank account or charged to your credit card. Online – Visit our Online GimmeDalla Portal and follow the on-screen instructions. Credit can be purchased via credit card, debit card, or PayPal. Retail Channels – Visit a retail store where *ding International Top-up service is available. Ask the cashier for a Smart Belize top-up and provide the phone number. Credit can be purchased by whatever payment methods are available. Recharge Cards – Visit any Walgreens, CVS, Best Buy, Circle K or Rite Aid in the USA and ask for *ding International Recharge Card. Instructions are written on the back of the card. The card can be purchased by whatever payment methods are available. Prepaid, Flex Jr., Choice, and Select customers can purchase a combination talk, text, and/or data package with Primary or Promotional credit by dialing FLEX (3539)! Flex Bundles exclude international minutes. Prepaid, Flex Jr., Choice, and Select customers can choose to purchase the combo that fits your needs! Payment will be deducted from prepaid credit. NOTE: Unlimited Text messages can be sent to both national and international numbers. Unlimited Talk time is applicable for calls made from Smart-to-Smart numbers. Calls to BTL numbers will be discounted from 52¢ to ONLY 35¢ (+GST) per minute! Description: Did your friend or a family member try to call you or send a text message while your phone was off or you were out of the service area? With Smart, you can get a text the moment you turn your phone back on! Instructions: Send a text to 1234, in the body of the message type MCA. Description: Update your Facebook status from your Smart phone via SMS; there’s no need to access the internet! Registration: Log in to your Facebook account. Type www.facebook.com/mobile/# into your browser to be given your unique mail identifier (Example: unique594add@m.facebook.com). Send a text to FBOOK (32665), in the body of the message type REG (space) and your unique mail identifier (Example: REG unique594add). Instructions: Send a text to FBOOK (32665), in the body enter the message you want as your Facebook status. Description: Update your Twitter status and view your last three tweets on your Smart phone via SMS; there’s no need to access the internet! Registration: Click on the “Register for Twitter” link. Enter your Twitter username and password and click “Allow.” Enter your phone number. NOTE: If you had previously registered to twitter from your smart phone, unregister before proceeding with the registration update. To unregister, send unreg to 89338. Instructions: Send a text to TWEET (89338), in the body enter the message you want as your tweet. To get the latest 3 updates posted on your Twitter page (including from the people you follow); send a text to TWEET (89338), in the body of the message type GET. To post a message to Smart’s Twitter page; send a text to TWEET (89338), in the body of the message type *(space) and the message you want to tweet. To Logout: Send a SMS to TWEET (89338), in the body of the message type LOGOUT. Description: Send your requests and shout-outs to your favorite radio stations with no hassle! Instructions: Send a text to one of the following codes with your message in the body. Cost is $0.55 per SMS. Big Up cannot be sent from promo credit or from SMS bundles.